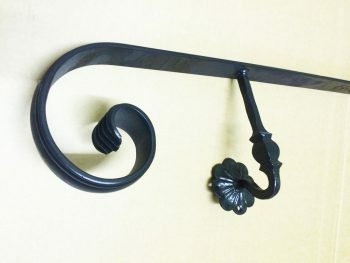 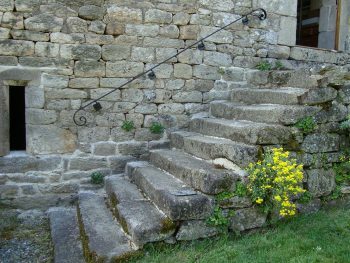 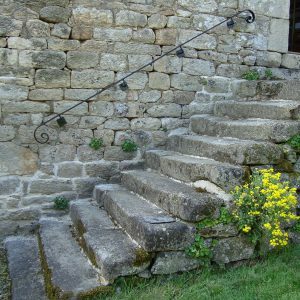 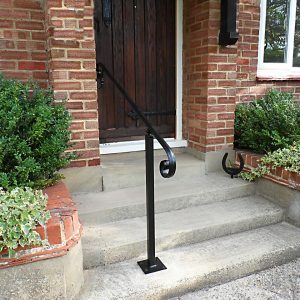 As with all of our other wrought iron products our elegant handrails are specially made to order. 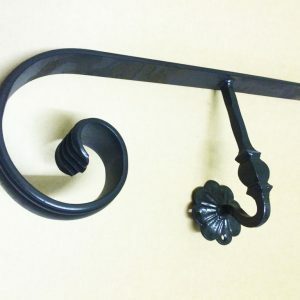 With lovely sweeping scrolled ends they are available in either wall fix or ground fix configurations, please specify which you require prior to checkout. 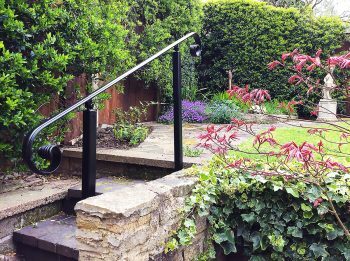 Handrails up to eight feet in length are supplied in one piece whilst longer ones will be sent in two pieces to be joined together with a discreet countersink bolt supplied by us. In these cases the joining ends of the handrails are machine cut to give a nice square edge. One end will have a countersink hole pre-drilled and the other end has a lug welded to the underside to allow the countersink bolt to join the two pieces together. 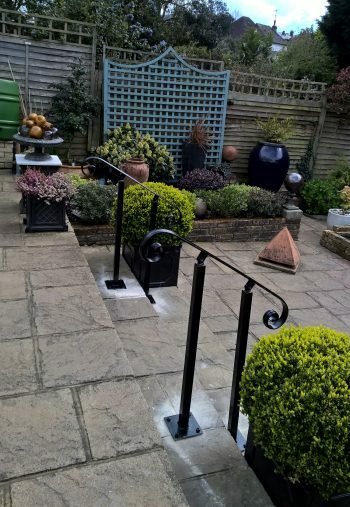 Sizes quoted are the overall measurements including the scrolled ends of 120mm wide. 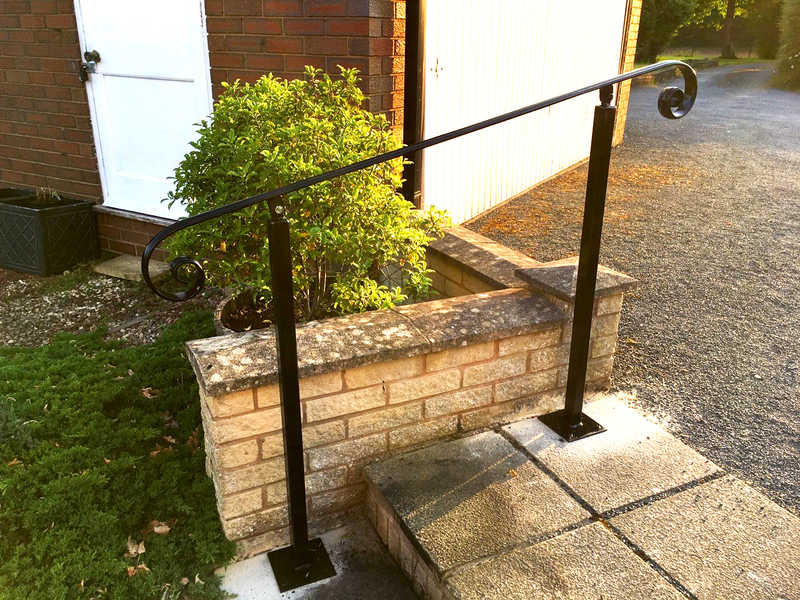 Please contact us for a quote if you require a different size to those shown on our website. 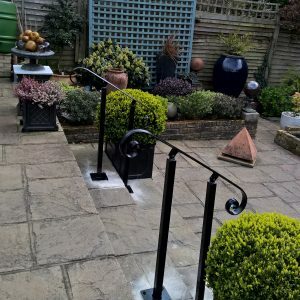 Our wall fix handrails are made to order using 40mm x 12mm D shaped bar and come with decorative fixing brackets measuring 200mm high x 105mm wide x 90mm deep. The elegant scrolled ends are 120mm wide. 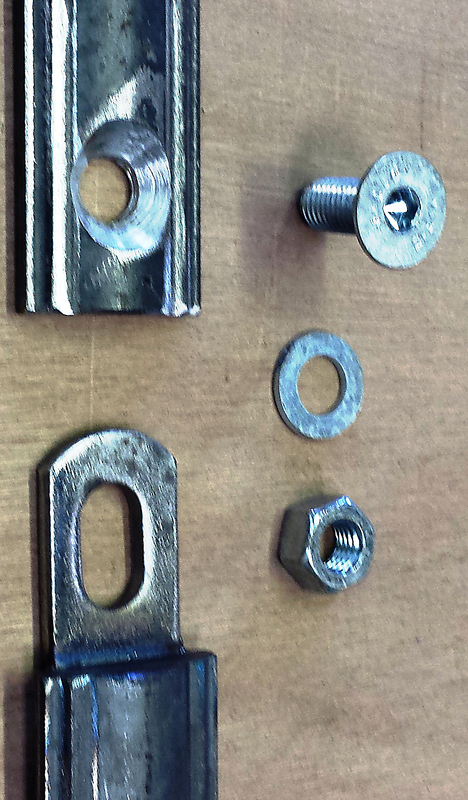 They can be fitted at any angle with the brackets supplied. The maximum projection of the handrail is 110mm measured from the wall to the outside edge of the scroll. 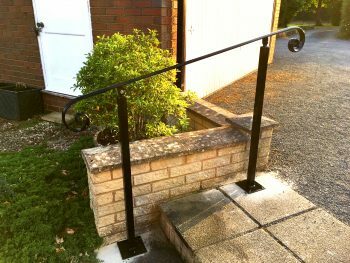 Our ground fix handrails are made to order using 40mm x 12mm D shaped bar. 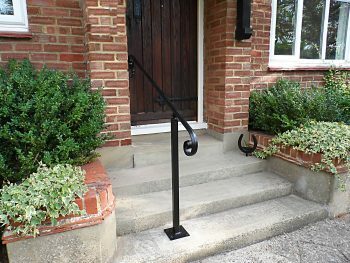 They have the same sweeping scrolled ends as our wall fix handrail but they are designed to be either concreted in or bolted to the ground. 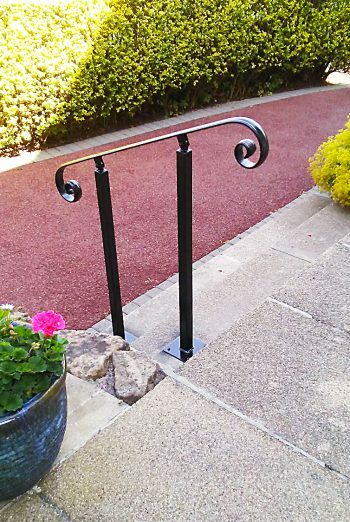 The bolt down handrail is supplied with a base plate measuring 150mm square x 6mm thick. 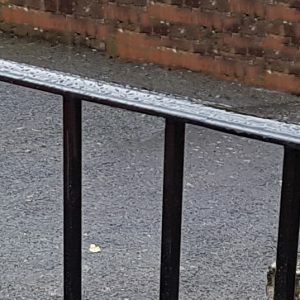 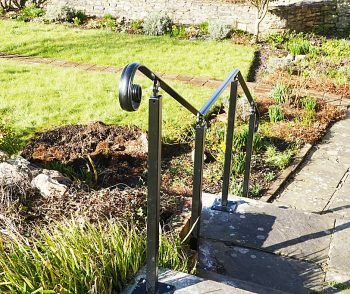 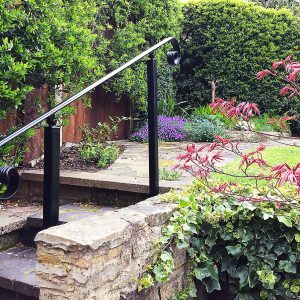 For optimum stability with the concreted in handrail we would recommend they are fitted with the posts set at 900mm above ground leaving 450mm for sinking into the ground. 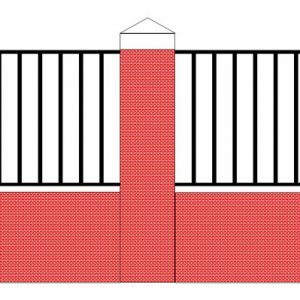 The 40mm square vertical steel posts are approximately 1350mm long. The handrail itself has lugs welded to the underside that bolt to the lugs welded to the top of the posts by means of the bolts and nylock nuts supplied. 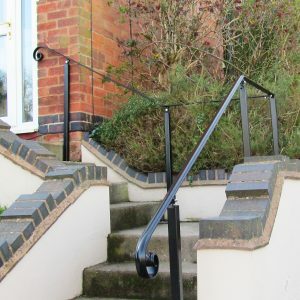 This system allows the customer to tilt the handrail to the desired angle. 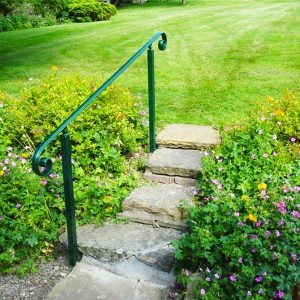 Handrails up to six feet in length come with two posts, seven, eight, nine and 10 feet with three posts, and 11 and 12 feet are supplied with four posts. 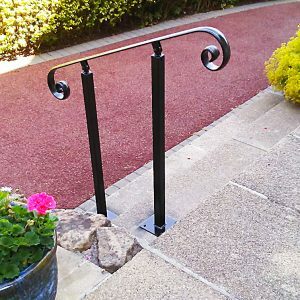 The handrail is designed to overhang the posts at each end by approximately 300mm (as measured from the end of the handrail to the centre of the post). 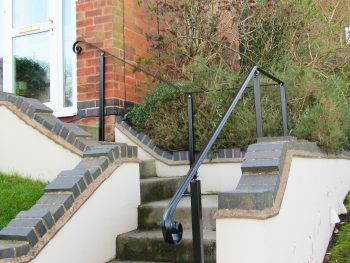 railing erected to his steps, so you can see how smart they look. 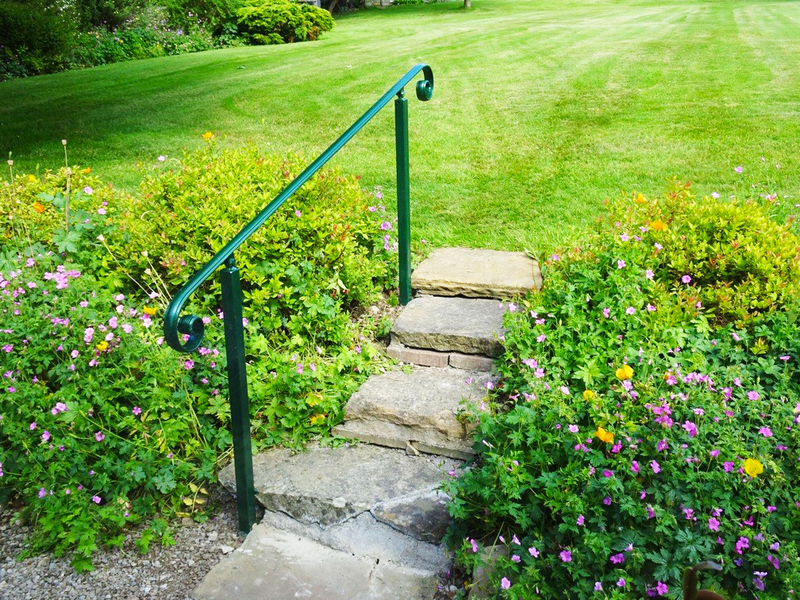 Thank you once again for doing a great job. 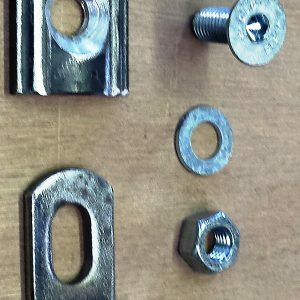 We have been impressed by the customer care which we have received from this company. 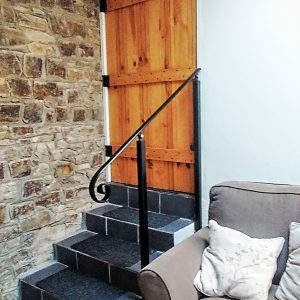 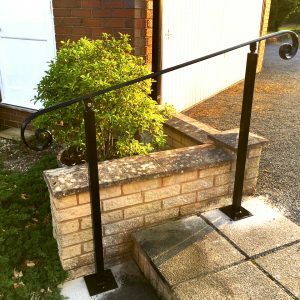 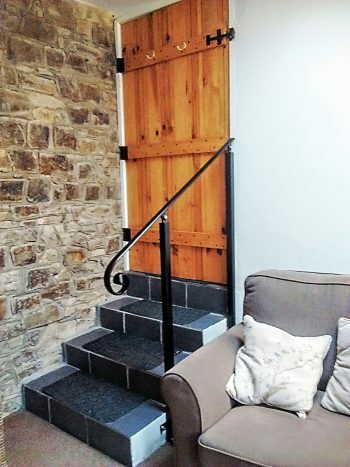 The original handrail which we ordered was lost by the courier but a replacement has been provided in the shortest possible time and we have been supported throughout by the staff. 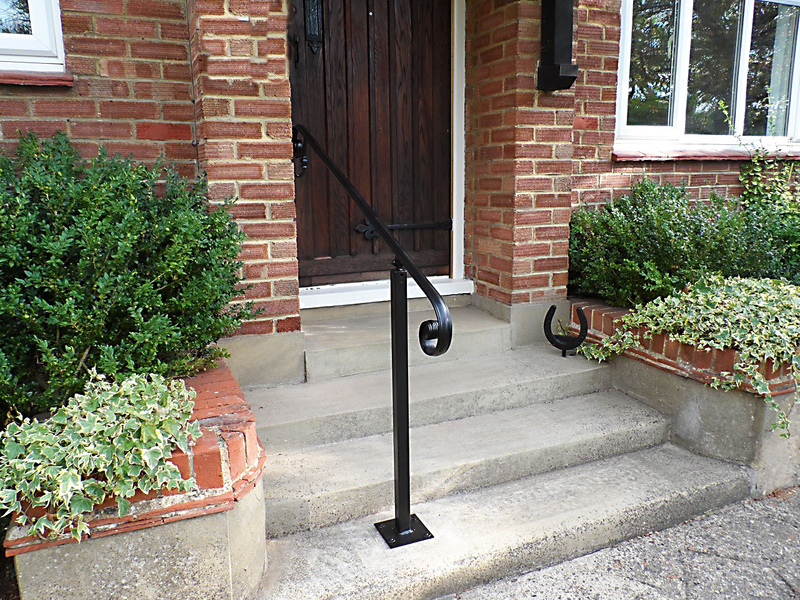 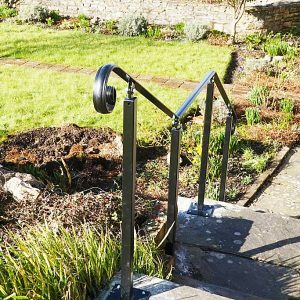 We are delighted with the new handrail – very sturdy and most attractive.